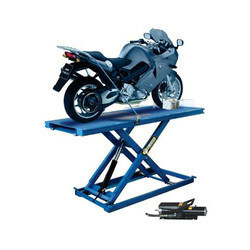 Pioneers in the industry, we offer four post lift, scissor lift, motor cycle lift and two post lift from India. Cylinders hidden under the running plate. Four-wheel stopping plate ensure the safety of the vehicle..
Ultra-thin structure model ,original state degree is 150mm, hidden installation is needless. is Italy electromagnetic valve and German seals, to ensure the stability of the machine and increase the long then the service life. 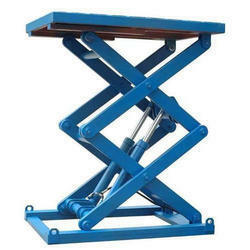 If the power is fail, the vehicle can be manually descend to the ground, simply and safely. Pass 115% dynamic loading testing and 150% static loading testing. Height limit switch and decline alarm function are optional. 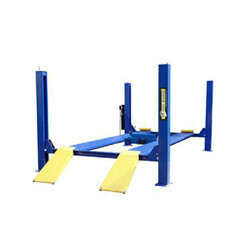 We are offering Two Post Lift to our clients. 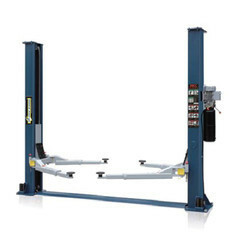 Looking for Automobile Lift ?